From this page (shown below), you will be able to view all of the items in your inventory and view Item-specific information. 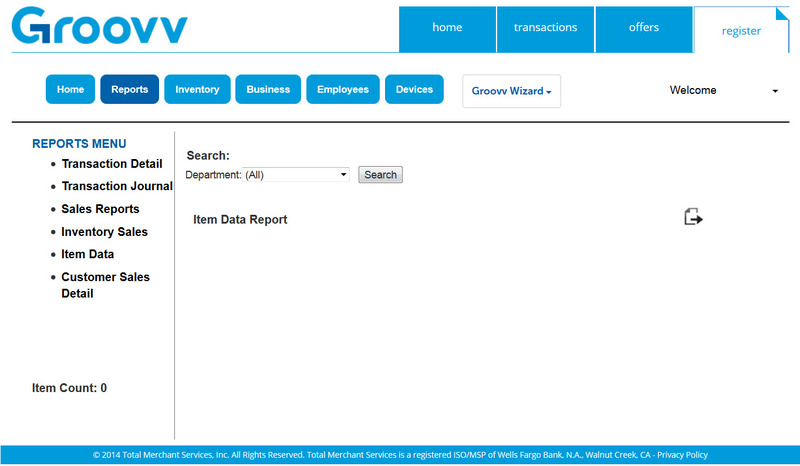 You can customize your Item Data report by viewing your items by all departments or a single specific department. 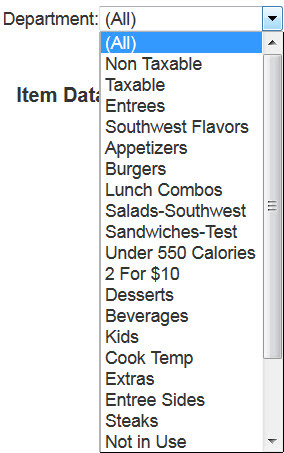 Select how you would like to view your report, and then click the search button.